Rated as best EWS race in 2015 by Pinkbike.com, Zona Zero Ainsa is adventure in its purest essence. And for 2018, Ainsa comes back to the EWS with a stop in September! ​​In our complete Pyrenees package we will not stick to Ainsa and will explore the whole area visiting unique secret spots in the area of Sierra de Guara or Castejón de Sos. Ride through legendary trails, cross abandoned villages, experience pure wilderness. Join us in the ultimate MTB adventure with the luxury BlackTown Trails standard. 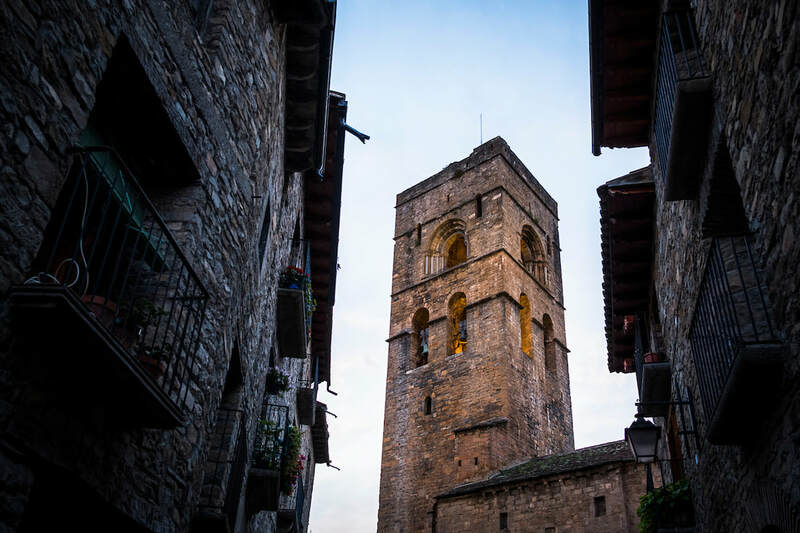 Ainsa is a legendary town in the center of the Pre Pyrenees, founded in 714, witness of multiple battles and packed with the most amazing network of trails. Since some years, locals are maintaining these old trails, managing to build Zona Zero, probably one of the best Enduro MTB spots in the world. This took the EWS to celebrate one of the 2015 races in Aínsa and it was even considered by Pinkbike the EWS spot of 2015. Following the path of Ainsa, other villages and areas in the region have started their own trail recovery projects, creating a massive network of singletracks in the areas of Sierra de Guara, Castejón de Sos and Benasque. With our MTB tours, you will discover all the secret spots in a unique MTB experience in the Pyrenees. 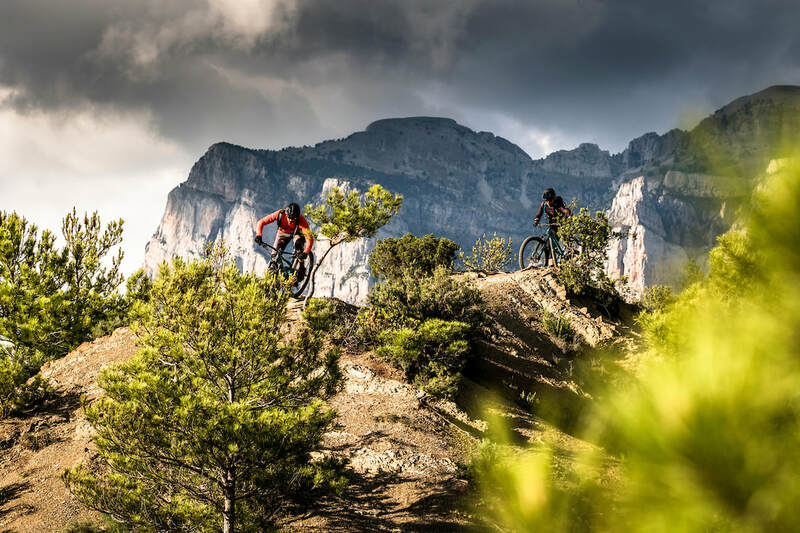 ﻿Choose your Mountain Bike Holidays in Ainsa Zona Zero with us and be prepared to ride in an unreal variety of terrain, going from deep forests to high open spaces, moon-like dunes...... Always with a massive presence of endless singletracks along the routes complemented with jaw dropping views. The after ride holds the typical Spanish hospitality, with lots of cervezas and great food to celebrate an epic day of riding in the Pyrenees. Optional transport from Barcelona´s El Prat International airport . .Our classic week package in Aínsa will let you discover all the trails in the area specifically adapted to your expectations. 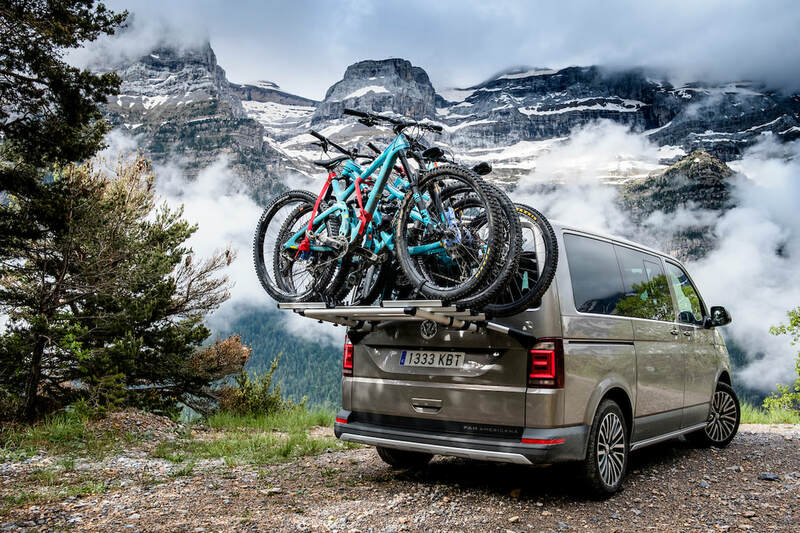 Our guides will take you to the best combination of trails, supported with our van to save the biggest piece of the climbs. Catered with 7 breakfast, 5 packed lunch and 6 dinners. 5 days of guided riding by the most experienced certified local guides. Transport from/to Barcelona´s international airport. AWD shuttles saving approx. 70% of the climbing. Groups of 7 people max. March, April, May, June, September, October, November 2018. Please, note that all the packages starts and finishes on Sunday. Advanced / Expert. A high level of technical and physical skills are required for the full Pyrenees tour. Travelling solo? Want a taylor made package in the Pyrenees? Everything is possible! 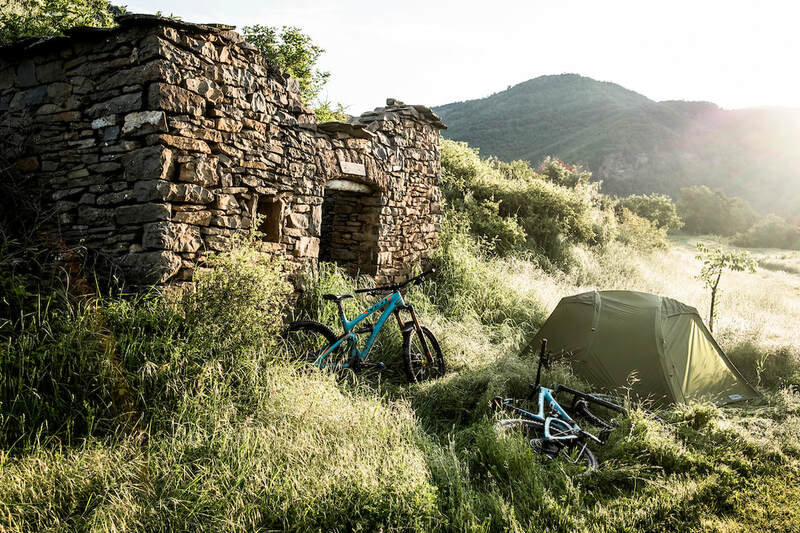 Let us know when making your booking, so we can build a special package for your mountain bike holidays in the Pyrenees. .
We can call the Full Pyrenees trip the ultimate riding experience in the area. With 3 days of riding in Aínsa and 3 in Castejón you will get a super complete riding full of technical challenges, long descends and endless singletracks. Catered with 8 breakfasts, 6 packed lunch and 7 dinners. 6 days of guided riding by the most experienced certified local guides (3 days Ainsa + 3 days Castejón de Sos). Transport from Ainsa to Benasque. AWD shuttles saving approx. 80% of the climbing. *Prices for groups of more than 6 riders.